Finally losing patience with constant frizz? Maybe you’re just using the wrong type of styling tool. Luckily for you, we know exactly what you need! Check out the best ionic hair brush in today’s market. Aside from being infused with ions, Osensia Professional Round Ion Hair Brush also has ceramic sections. That’s why it can dry your hair faster and increase its volume whether you want it straight or curly. Don’t worry about going overboard; the medium-sized barrel will only make your hair big enough for a healthier look. To be more specific about the ionic feature of this product, let’s focus on the bristles. They don’t produce static because of the ionic mineral used. Their surfaces are also polished to massage your scalp and prevent breakage. The ionic bristles are antibacterial, too. You don’t have to worry about spreading germs all over your hair no matter often you use it. Additionally, if you’re always using hot tools, the bristles can withstand extreme heat up to 428 degrees Fahrenheit or 220 degrees Celsius. Since faster styling is required to avoid the consequences of heat, the wavy bristles ensure a bigger coverage to save time. As a plus, this hairbrush is super-lightweight for comfort and portability. It can fit in any bag so you can bring it anywhere. Meanwhile, have you noticed the tiny ball at the end of the handle? That’s just the tip of a pin you can easily move in and out of a hidden slot. The pin will help you make sections as you style your hair. 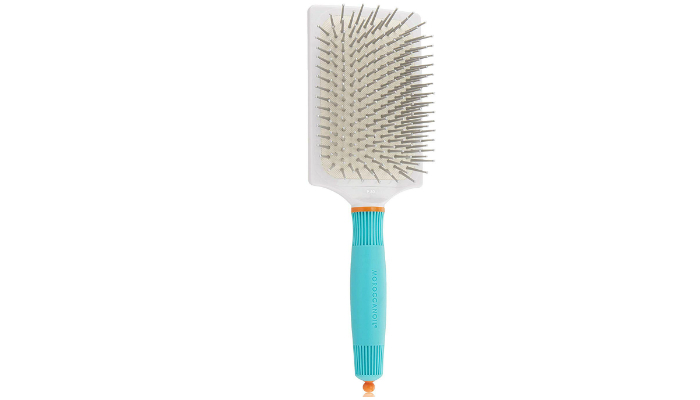 Thanks to the flat shape of Moroccanoil Ceramic Paddle Brush, it can handle any hair length. Just like the first option, it also uses the excellent combination of ceramic and ions. Let’s face it – round barrels can be tricky to control. On the other hand, a paddle brush will just require you to thoroughly work your hair from the roots to the tips. However, don’t forget to move slowly but surely to avoid missing a spot. This isn’t your ordinary hairbrush. BIO IONIC Bluewave Nanoionic Brush may appear like the usual round barrel type, but it’s actually more than that. It has a special square-round form to ensure the benefits of a round brush and a paddle brush. With a versatile square-round barrel, you can improve the shape of your hair effortlessly while keeping it smooth and shiny. You’ll have a chance to sport any kind of hairstyle. Regarding the bristles, they’re wavy and angled to provide the right amount of tension. They’re incorporated in honeycomb-shaped vents to enhance airflow. Now that we understand the basic features of this product, it’s time to understand its technical design. The technology called Natural Nano-Ionic Mineral Complex is found in both the barrel and bristles. It releases negative ions to maintain moisture and make the cuticle smoother. Here’s something more unique. 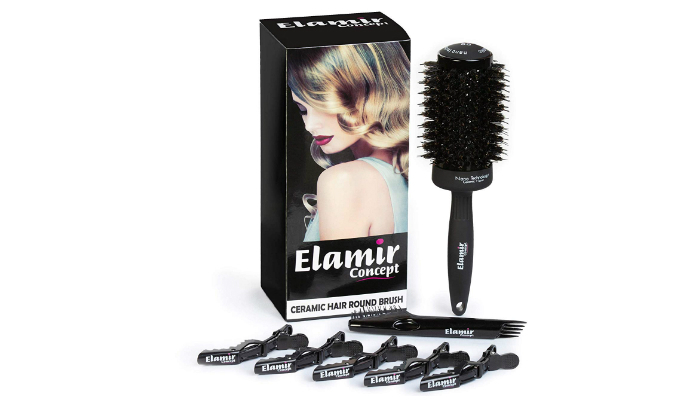 Elamir Concept Large Ionic Hair Brush consists of the best materials you can imagine. Not only does it combine ceramic and ionic features; its bristles are also made of both natural and synthetic materials. The bristles specifically contain boar hair and nylon. That combination aims to minimize pain while thoroughly brushing your hair. That shouldn’t be a surprise anymore, considering how in-demand boar bristles are for spreading natural oil and keeping hair healthy. While ionic hairbrushes focus on preventing static, this one promises another benefit. It uses nano ionic technology to stay odor-free as well. Meanwhile, the ceramic barrel works well with hairdryers. It can retain heat to help you dry your hair quickly. As you can see, this product includes an interesting set of hair tools. It comes with five clips for sectioning and a certain tool for easier cleaning of the brush. With its box packaging, it becomes a great gift idea for any occasion. Another awesome option with multiple materials present, Olivia Garden NanoThermic Ion Brush has ceramic, ionic, boar hair, and nylon sections. 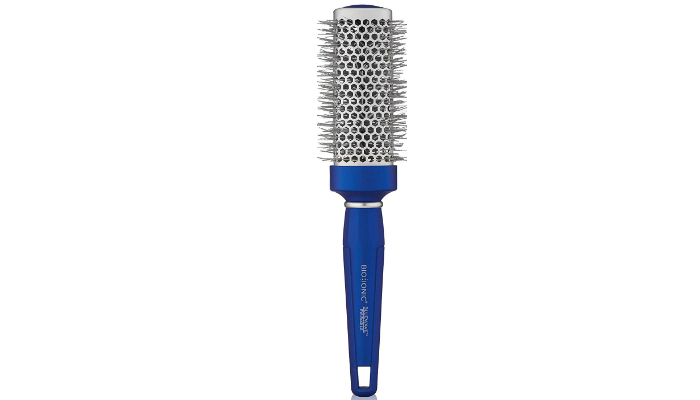 It specifically has a soft ionic cushion, nylon pins, and pure boar bristles. 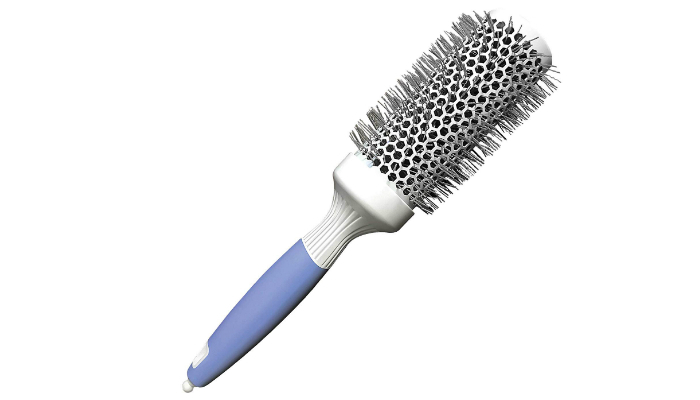 Despite the complicated design of the bristles, they’re still safe for your scalp. They’re so gentle that they can keep hair extensions intact even with frequent brushing. 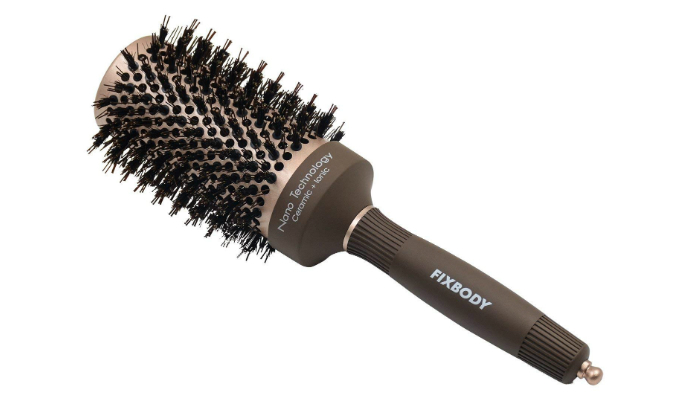 With genuine boar bristles, FIXBODY Round Barrel Ionic Hair Brush will improve the overall look of your hair. However, the highlight is its nano ionic technology. 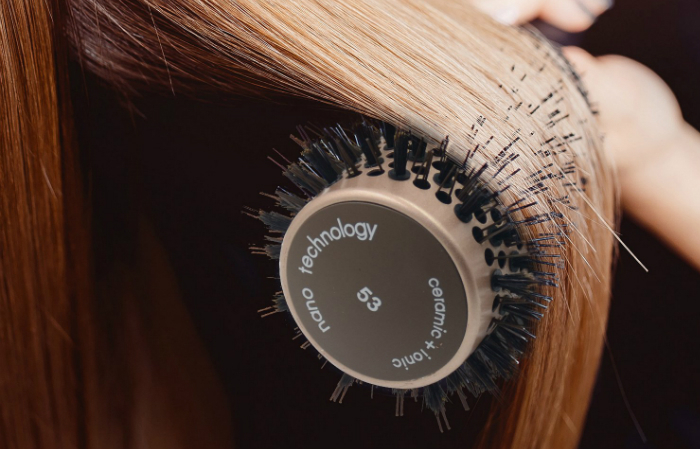 Despite the very affordable price of this hairbrush, it is packed with innovation. The ceramic barrel contains ions to benefit all hair types. 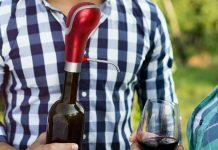 About the classy handle, it is surprisingly made of rubber. Rubber will cushion your palm and, at the same time, strengthen your grip to help you endure several minutes of styling. Have you ever wondered why ionic hairbrushes are all the rage right now? Before we reveal the answer, you should understand first the nature of your hair. According to Adore Beauty, positive and negative ions are naturally found in human hair. Unfortunately, even though daily care is important, it can disrupt the composition. 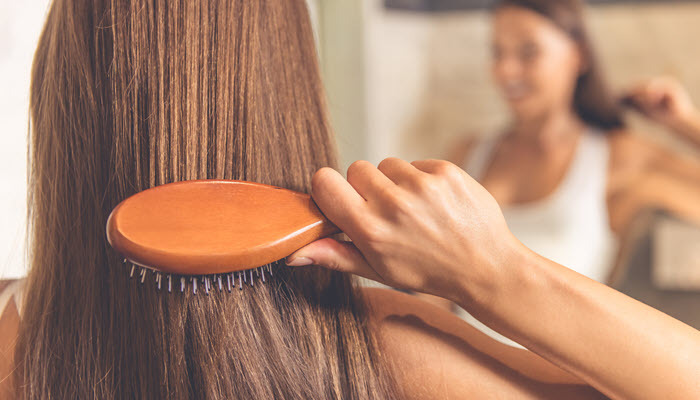 Did you know that the simple act of brushing and towel-drying can damage your hair? It turns out that a little friction can already remove some negative ions. This leads to frizz. Thankfully, with an ionic hairbrush, you can increase the number of negative ions in your hair again. Just make sure to use the brush with a hot tool to activate its main benefit. The best ionic hair brush shouldn’t just focus on adding negative ions in your strands. It must have all the necessary benefits for the general appearance and health of your hair. That’s why we highly recommend Osensia Professional Round Ion Hair Brush. If you’re always brushing your hair to make it longer, we have bad news. Learn more about it here. On a lighter note, we have other ideas on how to prevent frizz. You’ll know them once you find out the causes of frizzy hair after flat ironing.